Is scheduling appointments never ending task for you? Try us for free, its easy & we promise youll love it. Use Appointment Scheduler Standalone or Integrate with your Zivro site. Your customer can make appointments in just few clicks. Plan your vacation days, setup your available time slots and it will work for you. Our appointment scheduler generates a hosted page where customers can book online appointments with you. Both our admin & customer booking page has simple interface helping you to get things done fast and easy. Our software fits to your needs, no matter how big, small or niche your business is. 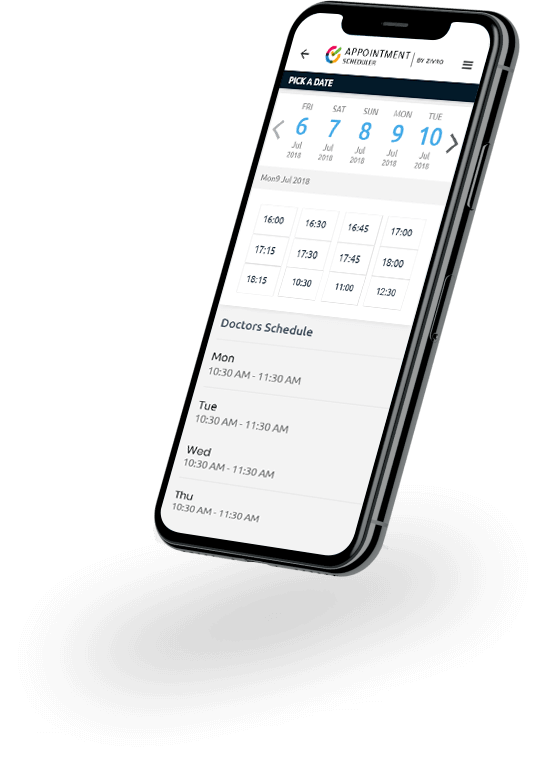 Simple functionality & user-friendly to ease scheduling appointments on the go. No matter where you are in the world, you can have online appointment scheduling software that works great and looks amazing. Practicing medicine can be challenging by increasing the number of patients while improving your patient satisfaction. Well, having a Website with Integrated Appointment Scheduler can help you achieve all of it. Setup your service offerings and schedules so that your patients can easily book their appointments online. If youre running a spa or salon, youll be having a range of stylists offering their specialized services. With our appointment scheduler, you can easily setup a profile for each stylist with respect to the service they offer. This way, customers can pick their stylist according to their preferred service and schedule appointments at ease. If youve got a own business, then you can be very creative with an Appointment Scheduler. For instance, Architects and Lawyers may use it to take client bookings. Business Owners can even use it to schedule interviews. Overall, it increases customer satisfaction and one less work for the management. Were here to support you while you create your site, get answered to all your queries with us. What type of businesses is it ideal for? 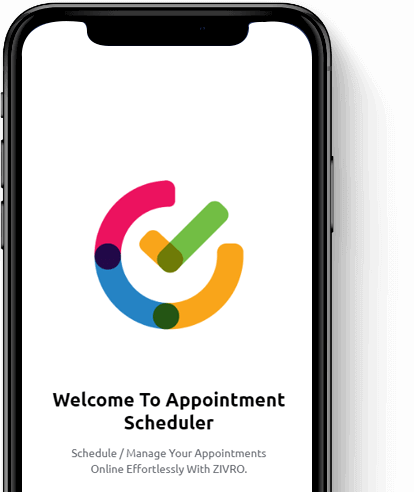 Zivro Appointment Scheduler works for any type of business who can manage and schedule their appointments online and instantly. It allows you to turn your service into sellable product and absolutely simple and easy to use. Can I integrate it into my existing website? Yep, you can either add “Book Now” button and link it directly to appointment booking page or use our customized zivro websites that provides super quick and easy plug in to your site. Does Zivro have a mobile app? Yes, Zivro has a mobile app for both iPhones and Android phones. The mobile app will sync with your primary account, so any appointments you book from a browser will show up on your phone and vice versa. Is there a limit in the number of services I can offer? Nope. There is absolutely no limit for services. Create as many as your business needs. Can I set specific schedule for my services, not regular one? Yes. We offer flexible time settings where you can create and manage with date-by-date scheduling. You can also set vacation lists for specific dates and reset it once you’re available anytime and anywhere. Can I see what time and day an appointment was booked? Absolutely, you can view the lists of appointments booked and paid with a full automatic log. You can also see who booked it and when or if an appointment was changed. Try Appointment Scheduler for free! Download Our App Now! For any queries, please email us at [email protected] & well be glad to answer you.